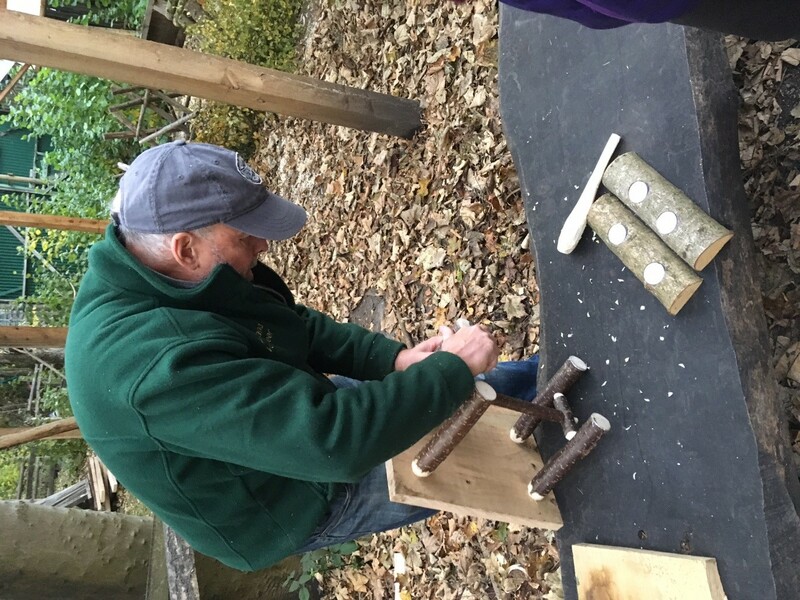 A 3 day course to introduce you to Green wood craft, using a Pole Lathe, basic craft tools and making simple rustic furniture. be introduced to basic woodland management and spend part of the first day in the woodland learning how to fell and coppice small trees for greenwood craft and consider different types of native timbers [wood] and what you can make from it. 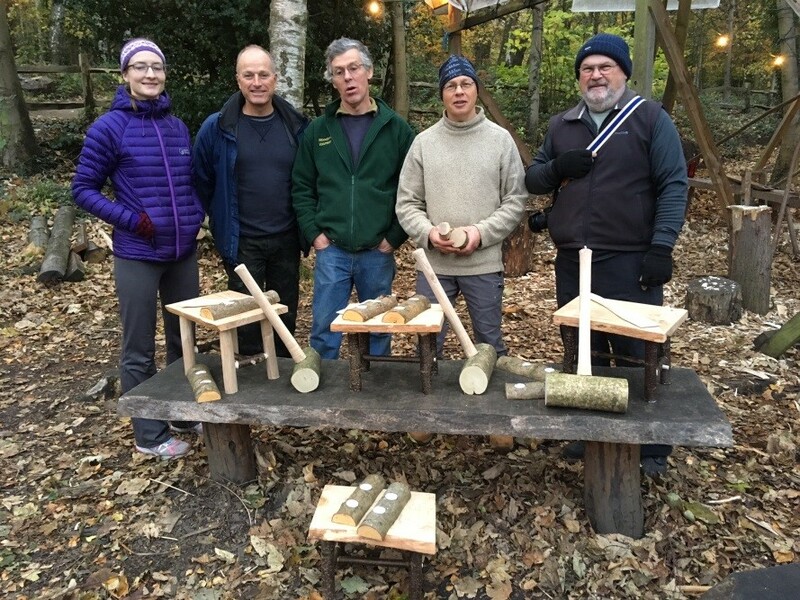 be introduced to the various types of tools used in Greenwood Craft, such as a drawknife, axe, froe and carving knife and how to use them safely and effectively. 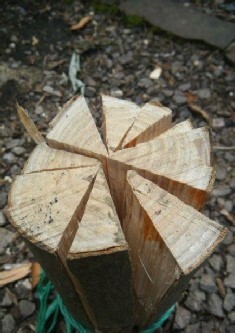 learn the art of ‘Cleaving’ which is splitting down wood into workable sections. use of Cleaving breaks and shaving horses. What they are and how they can be of use. 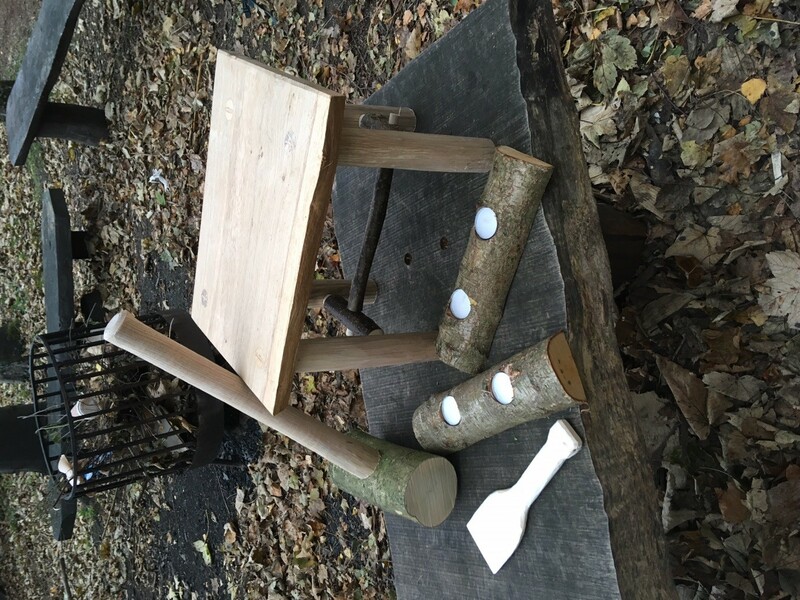 preparing to make a ‘Rustic Garden Stool’ having mastered the various equipment & tools used in greenwood craft. there may also be time to create a simple spatula or other carved item or have a go at pole lathing depending on time. Your objective will be to make a ‘Jointed’ rustic stool using greenwood working techniques. What is Green Wood? Green Wood is freshly felled, still sappy wood. To work it requires a set of simple techniques based on an understanding of how wood reacts – both to the tools, and to the dry and shrinking process. Because it is green, the wood is soft and easy to work with hand tools, and because of this, green woodwork creates little waste, and can utilise small trees and logs. It is therefore green in all senses of the word. Rustic stools are made from cleft timber which is worked and shaped with axes and a drawknife. This makes a very simple stool, and is a great course to develop your greenwood craft skills, either as a hobby, or the first steps on a new craft career!